Buffy is my second favorite TV show of all time. It somehow managed to straddle the line between drama and comedy, action and romance, sci-fi and reality. Buffy Summers had a fictional calling, but she made it feel so very real. You wouldn’t think a show about werewolves, witches, demons, and “the forces of darkness” could make you laugh so hard your sides hurt or bring tears to your eyes, but Buffy managed to do both. Even though Buff was no longer the chosen one nor was she living on a Hellmouth by the series end, the potential is still there for some sort of whopping evil showdown that would force the Scoobies back together for a reunion special. My fingers (and toes) are crossed for the possibility. The cast keeps insisting it’ll never happen, but there’s always hope. 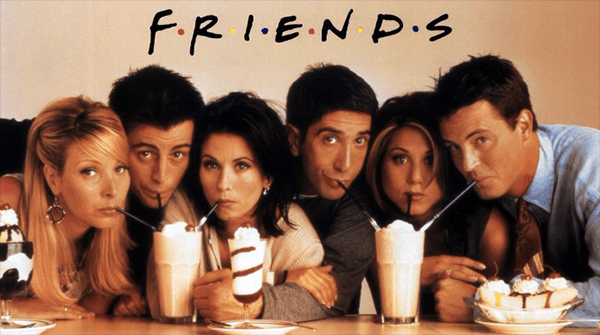 Unlike Will & Grace and How I Met Your Mother (two other beloved sitcoms of mine), Friends was the only one that didn’t jump into the future, squashing any potential for where a storyline could possibly emerge. A short movie about a milestone that brings the friends back together again would be plenty to make everyone happy. Fans have been clamoring for it and there’s no doubt it would pay off—the buzz surrounding their appearance for the James Burrows tribute this past February was proof. Give us our Friends! The little show that tried and failed; I was pretty disappointed when Smash was canceled. It had all the makings of a fabulous musical—behind the scenes of Broadway, featuring actual Broadway vets! What it takes to start a show and take it all the way to the Tonys! But the first season faltered one too many times and even though the second season trimmed the fat and injected more original songs, the damage was done. The race to the finish line was a convoluted mess. The plot could easily pick right back up a few years down the line with a brilliant new idea for the stage, reuniting that group of talented individuals trying to pull it off again, but this time, do it right. OR, take one of the ideas from the show and put it on an actual Broadway stage (something that was once rumored to happen). Fans of the show probably wouldn’t hesitate to shell out some dough to see Bombshell or Hit List on the Great White Way. This entry was posted in TV and tagged buffy, buffy the vampire slayer, friends, reboot, revival, smash, tv shows. Bookmark the permalink.